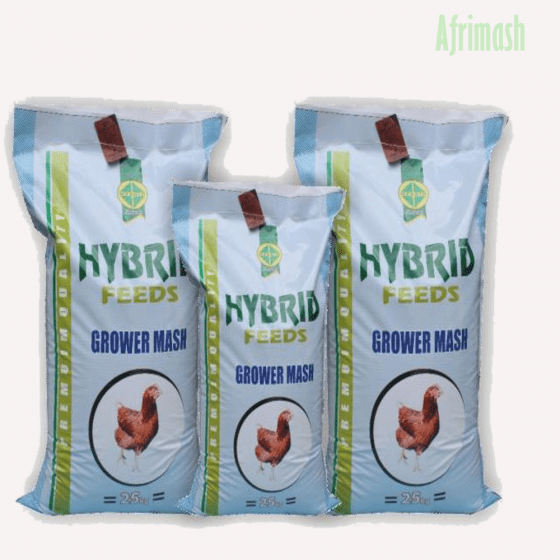 The Hybrid brand of growers’ mash is given to poultry birds from the 8th week through to the point the first egg drops (around the 17th week). Grower Mash is balanced with vitamin and mineral premix to help chicks achieve their optimum potential without any growth hormone. At Hybrid Feeds, we pride ourselves with the formulation of high quality products using the best raw materials after conducting rigorous testing which gives us a competitive edge. We proactively conceptualize, design and develop feeds and services which surpass the expectations of our customers no matter the odds.